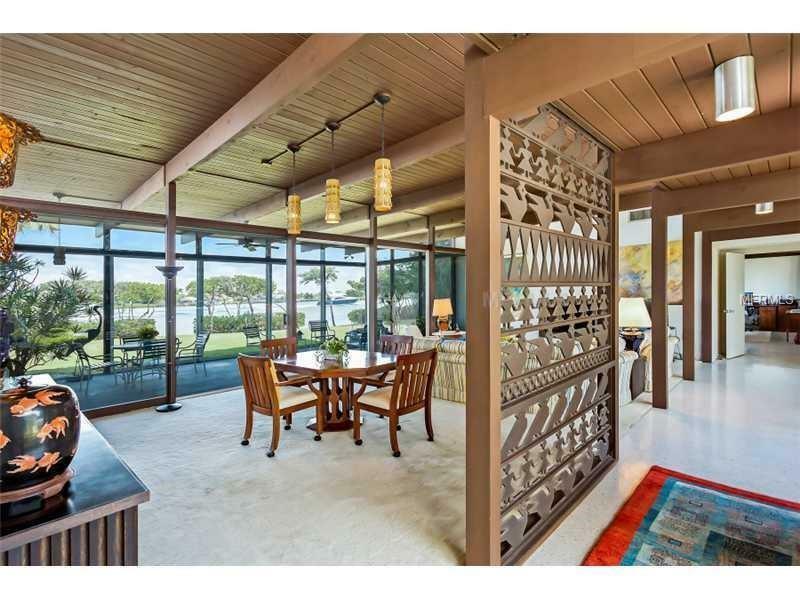 This is one of those rare opportunities to acquire a gem of a Casey Key property. Private location with 155' of direct bay front sold by its original & only owner. 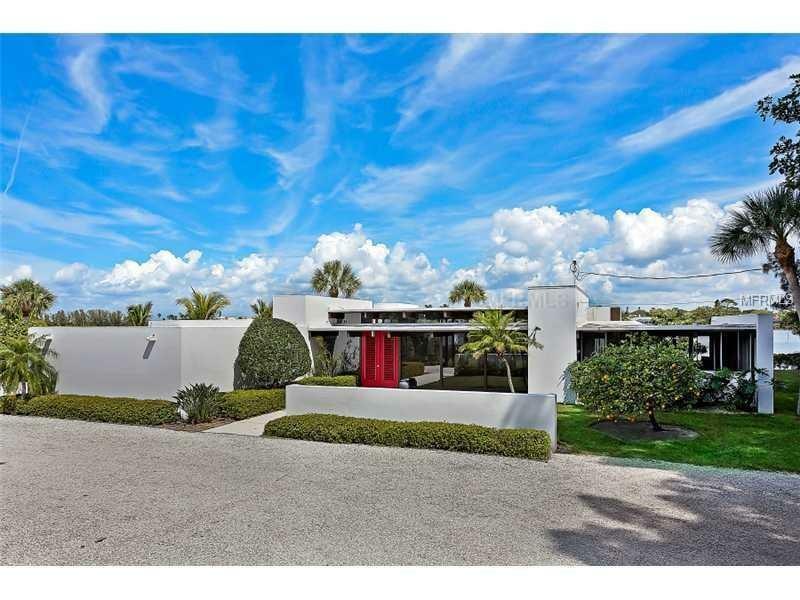 Designed by Tim Seibert, a noted architect who was part of the modern architecture movement that represented Florida's contribution to the modern designs of residences that swept the country in the 50's & 60's. Seibert was an early member of what is referred to as the Sarasota School of Architecture. 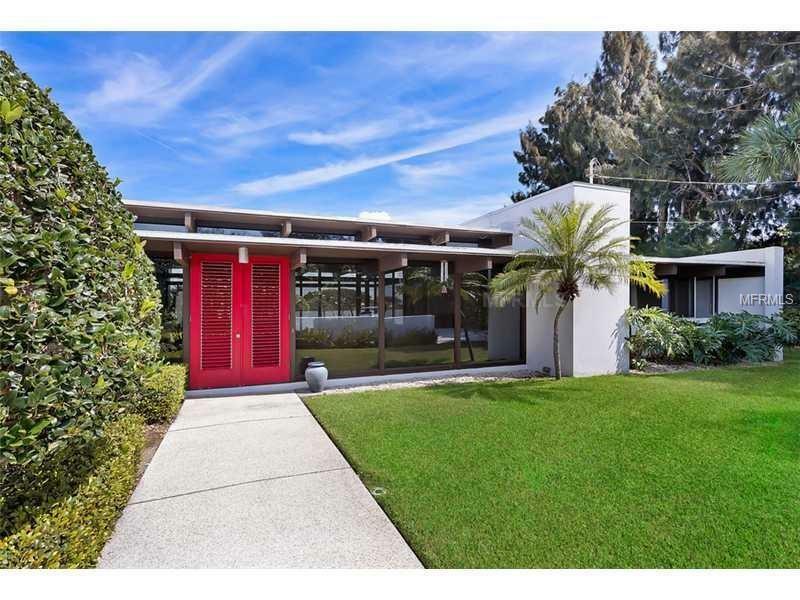 In the 1960's Seibert developed the plans for this home which was completed in 1965 by the present owner's late Father. 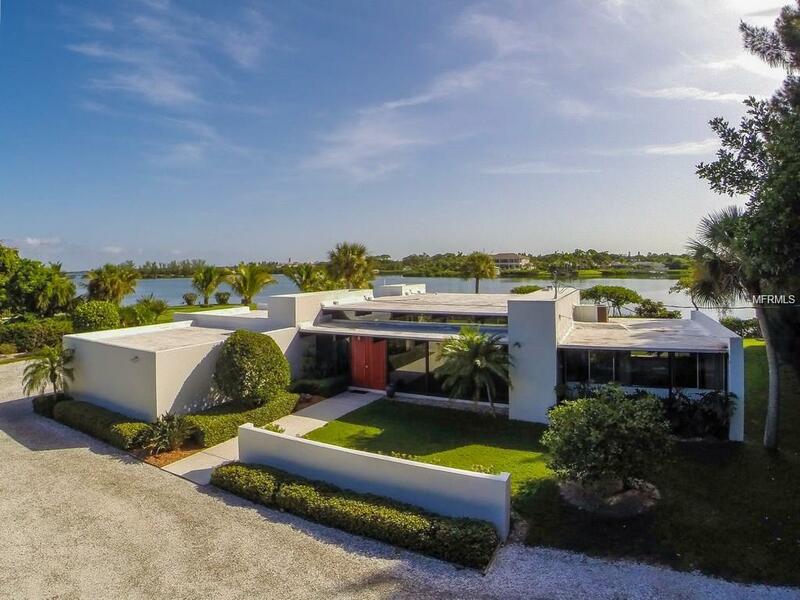 The contemporary design in those times was to meet the challenges of post-war lifestyles, changing construction materials, & warm climates of places like Florida and yet you see when you view this waterfront home on the Key that it fits the lifestyle of many couples & families that are attracted to Casey Key today. These modern homes were designed with glass to bring the outside in & essentially connect with the natural environment of its carefully picked location. Being located on its very private virtually secluded peninsula w/direct bayfront & intracoastal waterway the views are fabulous. Principal features of this residence & its property are: 155 ft of bayfront on a 3/4 acre lot; a 3 bedroom 2 bath; large private courtyard & pool with open bay views; 2 car garage; private kayak launch, and also features terrazzo floors, wood burning fireplace, extensive beamed ceiling & louvered front doors elegantly capture a bygone era.